Interest rates are down today! In the past two months, we’ve seen rates go from 4.75% down to 4.375%. Some aggressive lenders might even offer 4.25% to their best borrowers with high scores and large down payments today. So what’s going on? Why did economists predict higher rates for 2014 when we’ve seen this drop in January? Does this mean they were all wrong and that rates are headed down again? There are good answers to those questions. First, mortgage interest rates do not go up in a straight line. On a graph, rising rates will look like an upward zigzag. Right now, we have a dip. This does not mean rates won’t turn around and go up again. That could happen very fast on Friday, which I’ll explain in just a moment. 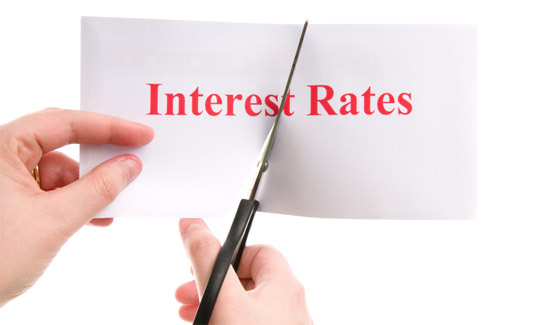 Second, there are many factors that go into interest rates. This recent rate drop is largely due to December’s weaker than expected jobs report that came out in January. Investors try to anticipate what will happen, so if the unemployment report ends up being worse than expected — even if it is improved over the previous month — then that is bad economic news and rates drop. Will Mortgage Interest Rates Go Up or Down From Here? Friday, February 7, the January Jobs Report will be released. The results will be influential in which direction rates go. On the days between now and Friday, investors will be speculating, so we could see some volatility in rates. If the report shows a stronger hiring economy than expected, rates will go up — and that could happen very quickly. On the other hand, if the report shows a weaker hiring economy than expected, rates will go down. No one can say with absolute certainty what will happen. My philosophy on rate locking is this: Lock the dips and be happy. If you see a rate you like, lock it and be happy. Even if rates go lower after, you still got a rate you liked, so remain happy. Once you lock in, stop watching rates. Why drive yourself crazy? But until you lock, watch rates and keep in touch with your loan officer on a daily basis. Once your interest rate is locked in, you don’t have to worry if rates go higher. You are locked. A rate lock is a commitment from an investor to give you a certain loan amount at a certain rate, with certain points (or no points). The rate lock is tied to a property address, so you cannot lock in your rate before you have a purchase contract. If you are refinancing, then you can lock at any time. Once your rate is locked in, you have a commitment. That commitment cannot be broken if rates go down the next day. That would be like a husband asking his wife for a divorce the day after the wedding because a more attractive girl came along. That said, there are some lenders that will compromise if rates go down significantly. For example, if rates drop by .5%, they are willing to drop your rate by .25%. But if rates go down by .125% or .25%, don’t expect to get a lower rate. That is not a change that is worthy of a compromise. The loan officer should never decide when to lock in the interest rate. It is your financing and your decision. Don’t stick your head in a bag and expect your loan officer to predict the future of rates for you. You must be the one to tell your loan officer when to lock in your rate. After your interest rate is locked, GET IT IN WRITING. Failure to do so is a mistake on your part. How do you know the loan officer actually locked in your rate if you don’t get it in writing? What about the many people who were told their rate was locked, but then, to their horror, found out later that the loan officer failed to do so, and now they were stuck with a higher rate? Learn from their mistake and get your rate lock in writing. For other vital tips like this, see Mortgage Rip-Offs and Money Savers. I suggest the paperback over the Kindle version, because the Good Faith Estimates cannot be read on the Kindle version. In this book, I put at least eight different (actual, real) Good Faith Estimates from banks and brokers with my comments on their junk fees, hidden fees, lender credits, and more. If you found this information on mortgage interest rates to be useful, please pass it on by clicking the social media icons and/or emailing the URL to those who might be interested. Thank you.